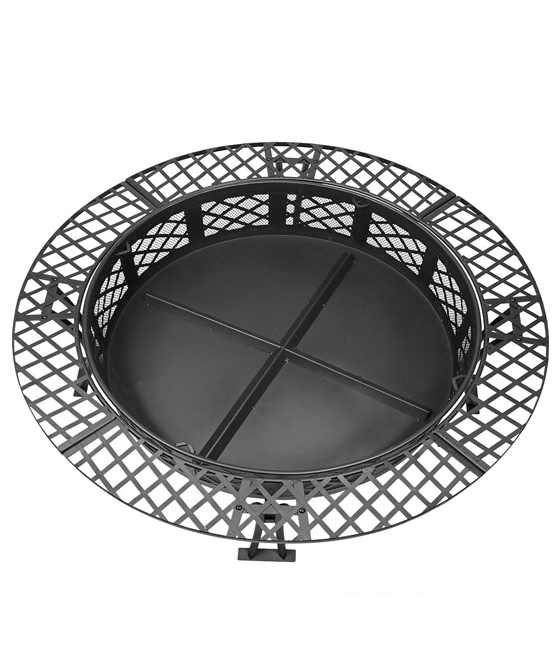 The Diamond Weave Large Patio Fire Pit is not only attractive for most decors, it measures a spacious 40 inches in diameter, making it a great choice for larger backyards, patios and decks. It features durable steel construction with a black, high-temperature finish designed for long-lasting good looks. 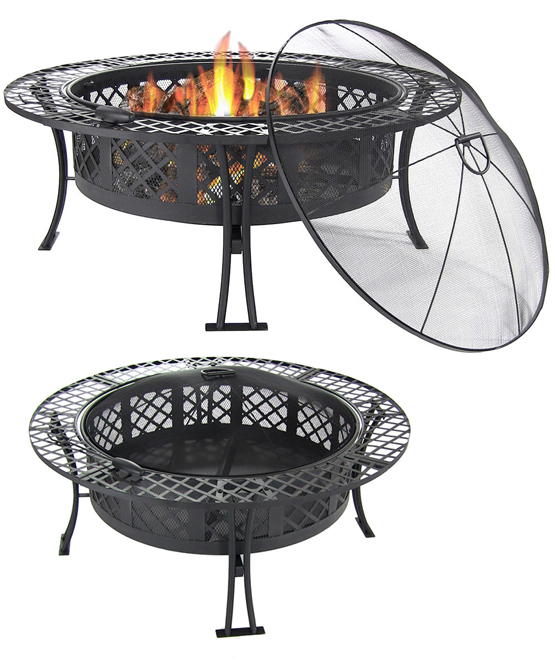 The fire pit comes both with a protective spark screen and a convenient poker that lets you adjust logs while the fire is still going strong. The bowl lifts easily to dump the ashes and transport/storage it as you see fit. While quite sturdy, it weighs in at just 29 pounds, so it can be easily moved to various locations throughout your yard (or off-site) to meet your plans. The aesthetics feature a diamond table edge and diamond cutouts along the bowl’s perimeter. 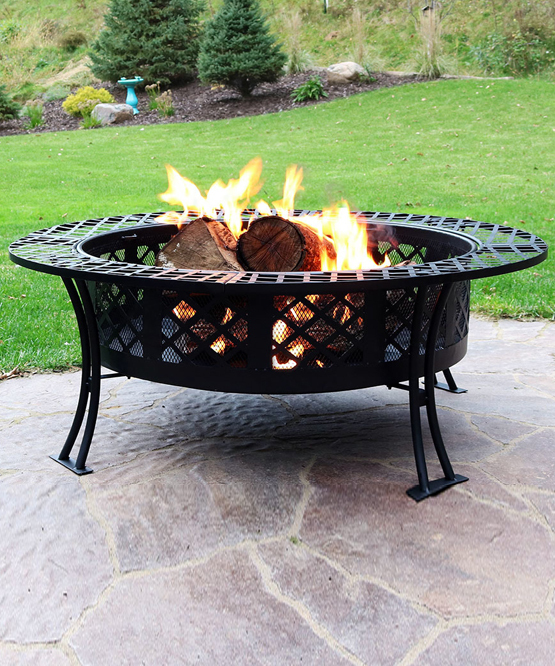 The open pattern (protected by durable mesh) lets you watch the beauty of flickering flames. 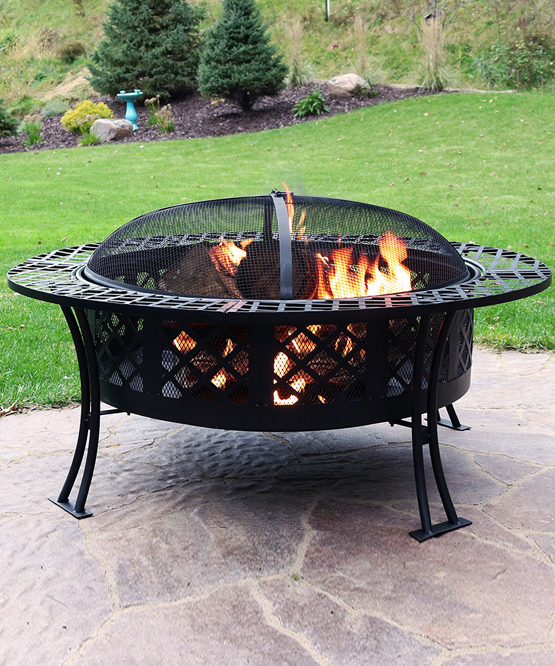 The open design also means it lights and maintain lit more easily than closed in fire pits. The visual design is meant to work well in many different decors: rustic, traditional, and modern. 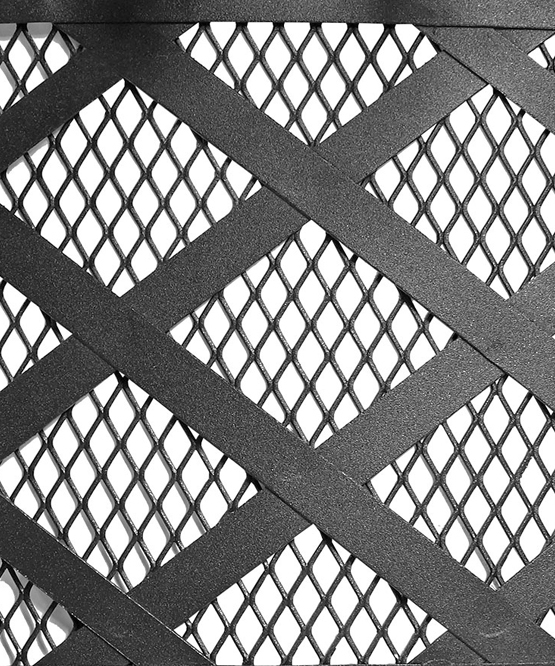 Construction: durable steel construction finished with a finish that withstands high temperatures for ultimate quality, durability, and functionality.